Tragedy in West Africa and gold industry consolidation was the backdrop as the mining conference season kicked off in Vancouver Sunday (January 20, 2018). 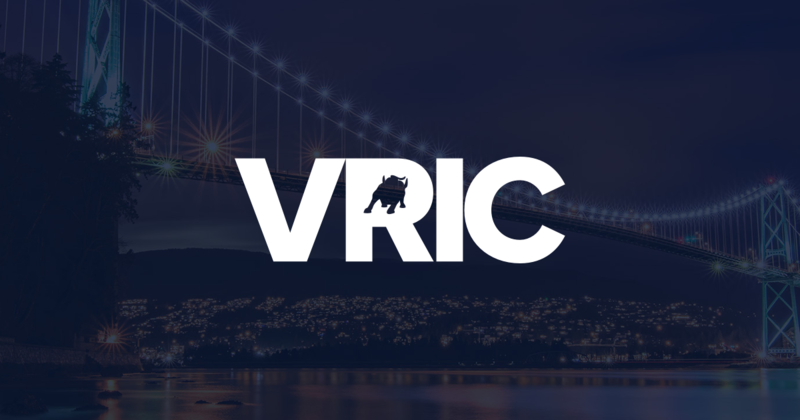 It meant there was much to discuss at the 2-day Cambridge International Vancouver Resource Investment Conference (VRIC), which was expected to attract a walkup crowd of roughly 7,000. As geologist Kirk Woodman was abducted and later killed in Burkina Faso just days before the conference began, it was too soon for anyone to say what the long term repercussions might be for companies with mining operations in that country. Burkina Faso has proven to be fertile ground for Canadian companies who are aiming to build profitable gold production. They include Teranga Gold Corp. [TGZ-TSX], Endeavour Mining Corp. [EDV-TSX] and Roxgold Inc. But in recent months, the security situation there has deteriorated rapidly, forcing the government to declare a state of emergency in several northern provinces. That prompted the Canadian government to issue a travel warning to citizens advising them to avoid all non-essential travel to Burkina Faso due to the threat of terrorism especially in areas located near the border with Mali and Niger. When asked for comment, one Canadian mining official said some areas of Burkina Faso are more risky than others. But as long as people take the appropriate precautions, they don’t have much to fear, said Trish Moran, head of investor relations with Teranga Gold, which is developing a gold mine in southwest Burkina Faso. She said the Wahgnion Project is not located inside the zones where the state of emergency has been declared. There was no mention of Woodman’s abduction at any of the sessions that I attended during the first day of VRIC conference. He was working for Progress Minerals Inc. (a privately owned Vancouver company) on a property that is located in the Sahel region near the border with Niger. It is a region of West Africa where Islamist militancy is one the rise. However, it is being speculated that the Halifax native may have been targeted while buying gold from artisanal miners. Jean Paul Badoum, an official with the West African country’s Ministry of Security, told the Canadian Press that gunmen who kidnapped Woodman appear to have stolen a number of items, including money, cell phones and computers. Woodman’s death, while highlighting the risks of exploration in some jurisdictions, has drawn attention away from the gold industry consolidation, which has been making headlines in recent weeks. On January 14, 2018, Goldcorp. [G-TSX; GG-NYSE and Newmont Mining Corp. [NEM-NYSE] said they had agreed to merge in an all-stock deal worth $10 billion. The combined company, called Newmont Goldcorp, will have operations in the Americas, Australia and Ghana, and rank as the largest gold producer globally by some distance. News of the deal comes after Barrick Gold Corp. [ABX-TSX, NYSE] recently agreed to merge with Randgold Resources Ltd. [GOLD-NASDAQ, LSE] in a $6 billion deal that is expected to give Barrick strength in Africa. Andrew O’Donnell, CEO of Supercharged Stocks.com said he hoped gold sector mergers would breathe new life into exploration in British Columbia. He was referring to the fact that NovaGold Resources Inc., [NG-TSX, NYSE American] a partner with Teck Resources Ltd. [TECK.B-TSX, TECK.A-TSX, TECK-NYSE] in the Galore Creek project in northwestern B.C. recently agreed to sell its 50% stake in the project to Newmont Mining. Galore Creek is a large tonnage, copper-gold-silver resource located approximately 160 kilometres northwest of Stewart. Teck and Newmont have agreed to a work plan at Galore Creek with the objective of completing an updated prefeasibility study over the next three to four years to improve overall project understanding and economics. Teck will invest approximately $12 million to $20 million (US$10 million-US$15 million) annually to complete this work. During his VRIC presentation, O’Donnell said glacial abatement in B.C. has produced some brand new discoveries that are currently being explored by companies such as GT Gold Corp. [GTT-TSXV; GTGDF-OTC] and Ascot Resources Ltd. [AOT-TSXV; OTVF-OTCQX]. Back in October, 2018 Casa Minerals Inc. [CASA-TSXV; CASXF-OTC] announced the discovery of a network of polymetallic mineralized veins in the Golden Dragon prospect, which is part of its 100%-owned Pitman property, located 20 kilometres north Terrace, B.C. The company said a rock chip sample from a two-foot wide vein returned assays of 574.42 g/t gold and 109 g/t silver plus 0.1% copper, 1.56% lead and 0.23% zinc. The impact of the recent mergers may also be felt in Alaska where Barrick and NovaGold Resources Inc. [NG-TSX, NYSE American] are equal partners at Donlin Creek, a project that is estimated to host a measured and indicated resource of 39 million ounces of gold (2.24 grams per tonne). That puts it among the world’s highest grade, known open pit gold deposits. NovaGold says Donlin Creek has the potential to be one of the world’s largest gold-producing mines, with estimated production of over one million ounces of gold annually over a 27-year mine life. NovaGold President Greg Lang said the development timeline for Donlin Creek is now within the owners’ control after key state and Federal permits were secured last year.